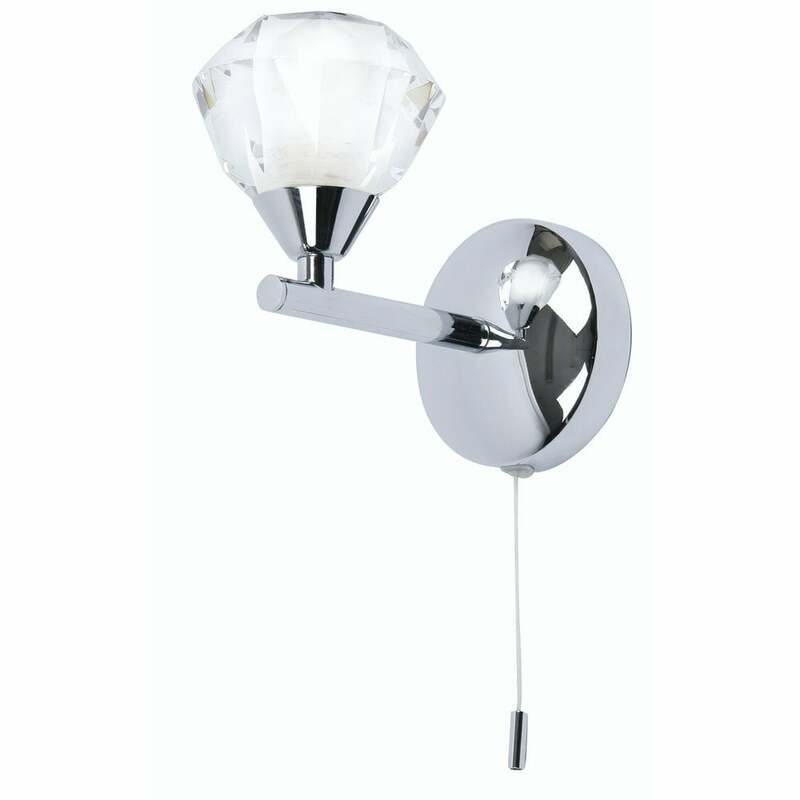 Oaks Lighting Meissa single light bathroom wall fitting features a circular back plate in polished chrome finish with extending arm holding a clear glass shade. The product code is 7933/1 CH. This elegant design will sit well in both modern or traditional styled bathrooms providing bright illumination, is IP44 rated for bathroom use and is operated by a pull cord switch. The Meissa range includes a 3 or 6 light ceiling fitting which is available to match which can be viewed on our website.